Below you will find the Newport Harbor Field Hockey 2019 Summer Dates. We will post an update once we have uploaded the registration and waiver. We look forward to the coming season! *The Newport Harbor High School Field Hockey Tryouts are separate from the Newport Harbor Field Hockey Summer Camp. 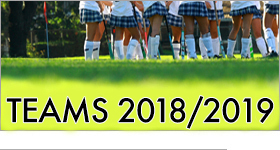 Newport Harbor Field Hockey is a competitive program and spots are limited. No player, returning or new, is guaranteed a spot on any team. Student athletes are evaluated on attributes such as skill, speed, stamina, strength, progression, coach-ability, work ethic, attitude, commitment, character, and potential.